A Chinese-U.S. research team is exploring the use of metamaterials—artificial materials engineered to have exotic properties not found in nature—to create devices that manipulate sound in versatile and unprecedented ways. 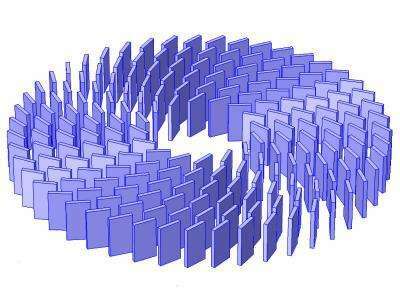 In the journal Applied Physics Letters, the team reports a simple design for a device, called an acoustic field rotator, which can twist wavefronts inside it so that they appear to be propagating from another direction. "We were surprised to discover that by using metamaterials, acoustic waves can be rotated in a manner similar to their electromagnetic or liquid wave counterparts—so sound has finally joined the club," Cheng said. Can anybody comment on what an acoustic rotator actually does? How could it be applied to affect something in a way I could hear and what would I hear that is different?